Residing in and around the Minneapolis area for the last 17 years or so, it’s always nice to see a hometown guy make good. 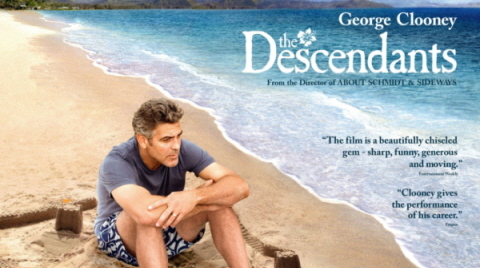 This is no truer than in the case of Jim Burke, producer of 2011’s critically lauded The Descendants: a film I very much enjoyed. I had the opportunity to sit down with Burke when he brought The Descendants to the Twin Cities. We cover many angles of the film in our chat, including the casting of a couple of my favorite performances (Shailene Woodley and Matthew Lillard). I was also curious about what took director Alexander Payne, a close colleague of Burke’s, so long to direct a picture after 2004’s Sideways. As it turns out, Payne was fairly busy with an epic sci-fi project we may or may not get to see someday. Burke, a real gem of a guy, was kind enough to elaborate on what finally brought these two men to The Descendants: an effort he’s very clearly proud of. Tim: Before we get started, I saw the movie last night. * Really enjoyed it. Jim Burke: I’m really proud of it. It’s a great picture. Y’know, I’m not just saying that because I produced it. I’m saying it because I’m a lover of films. And you don’t always love the movies you make. Tim: I’m curious about your background. How did you become a producer and what were your influences? JB: Yeah, I only know now because I’ve had the chance to look back on it; I didn’t know when I was doing it. But growing up here my dad, along with some other guys, opened up a theater in the IDS Center. JB: Yeah, when I was a little kid. So, because I could get into those movies for free, I would ride the bus downtown and go see them. Mostly they were foreign films. So I would watch Italian movies, French films, things like that. JB: Fellini, the French New Wave, things like that. So even though I kind of didn’t like them at that time, I was informed by them. And then I worked at a movie theater over by Southdale called the Yorktown for two years while I was in high school. It’s a 99 cent theater and I would watch movies. The same ones, over and over and over again. In those days movies would play in a theater for two or three months. I guess I just got used to doing it, which is a skill you need to have. You need to see same thing and read the same thing over and over again. Tim: To really get a feel for the context of it? JB: And also to make sure it’s working just right. Like “What if we change this and that and that and this?” And then you make those changes and you’ve got to sit back from start to finish again to see if it works. Tim: This was going to be one of my later questions but, since you bring it up, was tone an issue in making The Descendants? 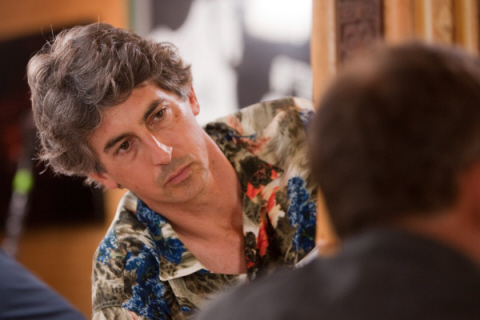 The material is so heavy and dramatic but Alexander Payne likes to bring comedy to his films, like in Election and Sideways, even though they still manage to deal in heavier subject matter. JB: Here’s the thing, the book itself blended those tones really well. It was a book that made you, I mean I remember reading on my couch just laughing out loud to myself. Then cut to two hours later and I’m crying by myself. Tim: Those are the best books, though. JB: Those are the best books. In any event, I felt like the tone was there. Now, can you execute that on film? Probably, that’s also a challenge. There’s nobody better at doing that than Alexander, consistently better at doing that. But to the question you ask, the truth is we shoot the movie on the set, on location, things like that. But where we find the tone is in the cutting room. I always say it’s like a chef. When you’re shooting a movie you’re going to the store grabbing all the ingredients and making sure you’ve got plenty to have and then when you’re editing it’s like making the sauce or the dish – and you’re tasting it all along. We had probably 20 to 30 different iterations of this film. Some which were a lot funnier and some which much sadder and “Where’s the right balance?” And this is what we came up with. 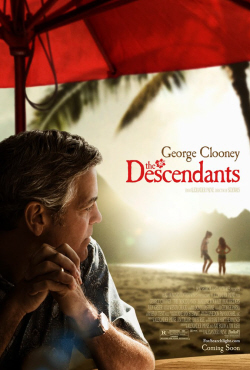 Tim: For people who might not know, can you elaborate on what role the producer serves on a film like The Descendants? JB: I found the book, first of all. What the producer does is sort of starts up a movie. And in this case it was through a book, a manuscript. I saw that as a movie, went out and hired some writers. At a certain point, Alexander and I were just going to produce it together and work with another director. Because he (Payne) had another movie he was going to direct. Tim: You guys had produced together on Cedar Rapids too I believe, correct? JB: Yep, and The Savages. And because we have a company together that’s one of our aims: to make movies we produce as well as ones he directs. Anyway, the big aim was to make movies that we like. And we knew that this was a movie that we’d like, or we would pay to go see. So the producer’s job is to make it happen. Tim: Did you have to do any location scouting? JB: You know, I did. Tim: [jokingly] Seeing some of those incredible location shots, I’d imagine that was very difficult. JB: [laughs] Yeah you know, it’s weird! People say “You had to go to Hawaii, that’s too bad.” And it’s a great, great place and I love it. But we always said “It’s a location. Not a vacation.” You still gotta work 18 hours a day and it’s not like you’re ordering mai tais by the pool. Tim: I think the cinematographer’s name was Papamichael? Tim: That shot where they go back and look at the property they own, that’s one of the most beautiful shots I’ve seen all year. JB: That was a big money shot. It actually was time consuming because in Hawaii, it’s in the tropics, and the clouds come and they go. And we had to wait for this big cloud to pass, boom, shoot it, and then another one would come. But it was great, we were lucky to find that place, too. Tim: You mentioned having produced with Alexander before and obviously you worked with him on Election I believe. His last film was 2004, Sideways. What do you think took him so long to direct another film and what was it about The Descendants that attracted him to make it with you? JB: He had made a short film for a project called Paris, Je t’aime. If you haven’t seen it, check it out. It’s really, really great. It’s the last short film in that. You can even see it on YouTube, it’s brilliant. But he was writing a movie with our other partner that we would make called Downsizing, and it’s epic. He calls it the Vietnam of screenplays because it took forever and was hard to get right. It involved a lot of visual effects and, our pictures, we really would like them to be lifelike. “Being lifelike” and “visual effects” are typically two phrases we don’t use in the same sentence. So we needed to get it lifelike and I don’t think that we were satisfied that the state of visual effects could make it look lifelike. Our goal was we want visuals effects that nobody knows are visual effects. Because most of the time it’s like, buildings coming to life or things like that. So we then sort of tabled that after two or three years. He was kind of itching to get on a set and I said we had been talking to another filmmaker on The Descendants, engaging him for a long, long time. And many other people wanted to direct this movie. But I basically said “Hey man, you’re the guy for this movie,” and I said it to him many times. He found a way… he needs to personally connect to all his pictures. And to his credit he really sat down and said “Maybe you’ve got something here. Let me read it again and figure it out.” He read the book again and did find a way personally into this. And once he got that, boom, he was all in. Tim: It feels like a personal film. I think that probably has a lot to do with the subject matter but to me, it felt like this meditation on loss and regret. And then it kind of transitions at the end, because I love that final shot. Halfway through you’re asking “Is this as normal as these poor girls (Clooney’s daughters) are ever going to be?” But it ends on that subtle, uplifting note. JB: I do too! It’s beautiful, hopeful. Tim: Kind of going off that, my favorite performance of the film was Shailene Woodley’s. Tim: She took me by complete surprise. She has such a chemistry with Clooney in the picture, did she test with him personally? Tim: How did she come on board and when did you know during filming, “Okay, we’ve got something special here”? JB: She auditioned and we spent a whole lot of time auditioning for those three younger kids: Alex, Sid and Scottie. But when you’re looking for somebody who’s ten or 17, I don’t know many kids who can do this type of stuff. I didn’t know any as a matter of fact. So we really had to read everybody and we did. Put them all on tape and things like that. Shailene just stood out. What happened was we brought Shailene and Nick (Krause) who plays Sid over to Honolulu with George. Not rehearsing or anything but getting to know each other personally, so they would have that kind of comfort with one another. 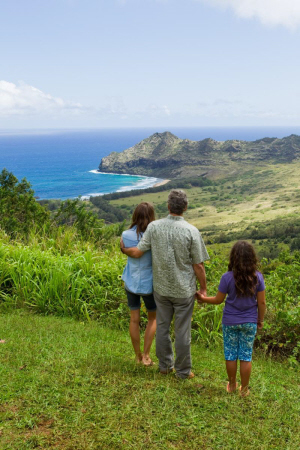 And then Shai and Nick would go to a high school over there called Punahou where they would meet other teenagers who lived in Honolulu so they could pick up on their behavior. We didn’t cast the little girl, Amara, until three weeks before we began shooting. JB: Yeah, it was scary. 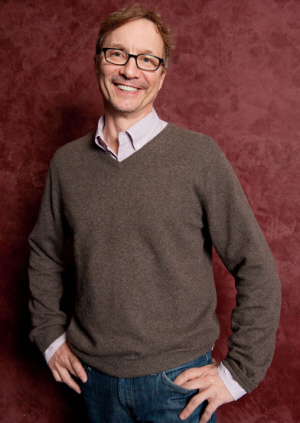 Tim: Talking about the audition process, I had read an interview with Matthew Lillard discussing how he auditioned and how it was a really long time before he got the callback. So he didn’t think he had it, but he really wanted it. But I was curious how you landed on him, because he’s not the sort of person you’d expect for that role but he kills it. JB: Yeah, he’s awesome in it. I have to hand it to Alexander, the great thing about Alexander is he’s willing to cast any actor in any role. George Clooney tells this story about in Sideways where he had wanted the part that eventually went to Thomas Hayden Church. He met with Alexander and really discussed this part and Alexander finally said “You know what, you’re not right for it.” So he chose Thomas Hayden Church over George Clooney who was a much bigger star. It was a gutsy move. But it’s an appropriate move, because it’s much easier to believe Thomas Hayden Church as this one-time kind of washed-up soap opera actor than George Clooney. Tim: What does it mean to have an actor like George Clooney on board with a project like this? Did it make it feel like a bigger project with such a name actor? Tim: This was before you even talked to him? So he’s the right age and he looks the way these sort of guys should look. Even before we met with him, we went over to Honolulu and lived there for a month. We got to know the rhythms of the place, who these people are as descendants, just everything. We went to this place called the Outrigger Canoe Club where they all hang out and they’re all good-looking guys. So it made sense. And he was very open to it. It was relatively easy. Tim: (Spoiler) What does it mean to the character of Matt King, deciding to keep the land? JB: Well, I love that it’s open to interpretation. Tim: It’s not a black-and-white decision. JB: No, no no no. There’s some people who think he does it out of revenge. I don’t think that. I think that… if you notice right before he sits down with his cousins, he goes into the shared family property and opens the shades. He lets the light in and takes a look at his entire family in pictures. He accepts, seemingly for the first time, that he really is a link in the chain. He was born into privilege, was born into this land. Tim: I love when he says that they did nothing to earn it but now they’re here. JB: Now they are. I’ve met people in my life who have trust funds. Not all of them, but some of them have this sort of version of survivor guilt – where they feel bad that they didn’t do anything for this. And feel sort of less-than because of it. And they become drug addicts or alcoholics just because of this weight they carry. Tim: And you don’t know how it’s going to end but you have a sense that things are going to be okay. Tim: Jim, thank you so much for your time. I really did enjoy your film. Please keep bringing your films to the Twin Cities! JB: [laughs] Thanks, I will! *We sat down in November. The film’s since made my Best of 2011 list.